Other than for the reason that custom wheels look cool on your car, truck or van, why would you want to add custom wheels to your vehicle? First and foremost, the reason should be for their better performance value. Adding custom wheels to your car is the most common way to personalize your car and make it unique to you. For those who want stand out in the crowd, adding custom wheels to your car is a way to do it. Those who have the best custom wheels on their car will always get the most notice when they are out going for a drive, however your main concern should really be all about better performance. Custom wheels that are for sale on the market today are made out of lightweight aluminum alloy. These lightweight custom wheels provide the strength that is needed for better tractability on the road. Custom wheels are made in a number of different finish options. Today's trendy custom wheels come in chrome and polished aluminum. There are also painted aluminum alloy custom wheels come in silver, white, gray, black and anthracite. The performance benefits you will get from custom wheels is related to the reduced wheel weight. Custom wheels are a lot lighter when you compare them to factory wheels. Added to their light weight, custom wheels are stronger than factory wheels. They can reduce tire rollover when cornering and reduce tire deflection. Aluminum alloy is a fantastic conductor of heat so your brakes can be cooled easier when you have custom wheels. The way that the brakes are cooled easier is by dissipating heat from the brakes through the aluminum wheels. If you choose an open design of five spoke or six spoke custom wheels, more air can flow over the brakes so that they can cool easier in heavy traffic. Factory wheels will not allow this cooling effect. Custom wheels made out of aluminum alloy can hold the road better which is a better advantage over factory built steel wheels. Custom wheels also give you an improved acceleration and braking rate because they are so lightweight. However, you should be wary of gravity cast aluminum alloy custom meals. These are cheaper wheels and may be more tempting to buy because of their decreased cost, but gravity cast aluminum alloy wheels are heavier and have the disadvantage of being prone to the bend easily. Instead you should find custom wheels that are forged or low pressure cast aluminum wheels. If you are in the market for custom wheels you may have noticed that there are over 100 different custom wheel manufacturers. Some of the best-known brand name custom wheel manufacturers are: American racing, Crager, Givanni, Enkei, Centerline, Lexani, Foose, Dayton and Weld. There are custom wheel packages that can help you reduce your overall costs. If you are looking for the larger wheels, keep in mind that the larger the wheels are, the more they will weigh. Some people choose to use a larger diameter wheel that has a lower profile tire so they can maintain the overall original diameter of their wheels. The best advice is to keep your custom wheels within 3 percent of your original wheel size. If you get into a larger percentage difference you may have trouble with the shift points on your transmission. This can cause you to loose gas mileage. 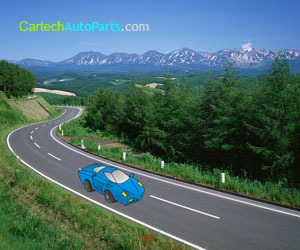 The newer cars that have a computerized braking system may have trouble with the system also by getting confused and as a result, the cornering capability will not be as good as it should be and the ride comfort can be reduced. It is better to look for wider custom wheels than it is to go with a taller custom wheel. A wider custom wheel will give you a sportier look too.